This fisherman on one of the tourist boats is demonstrating casting a net near the warm waters near the Church of the Primacy on Galilee’s northern shore. Photo by Ferrell Jenkins. 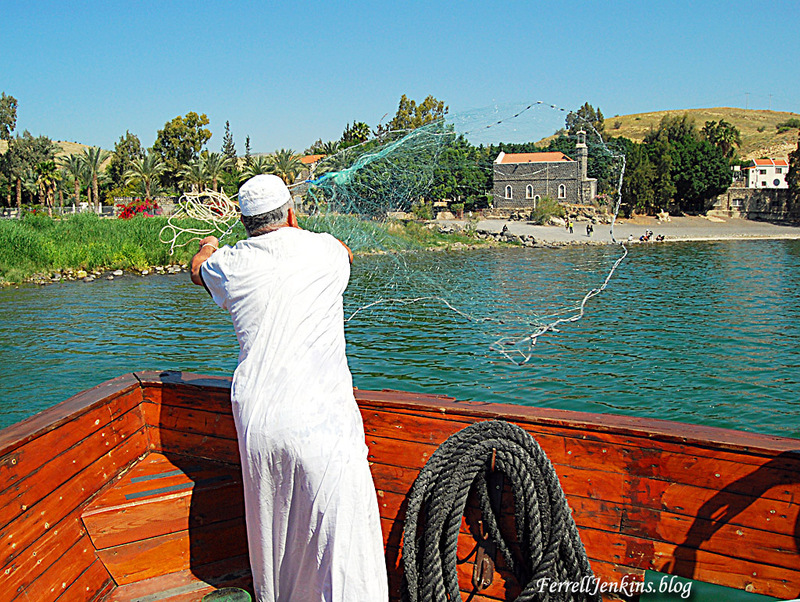 For more information about fishing and fishermen on the Sea of Galilee see these links: the ports; the fish; Tabgha (Heptapegon); and fishing the Sea of Galilee. This entry was posted in Bible Places, Bible Study, Israel, New Testament, Photography, Travel and tagged Favorite Fotos. Bookmark the permalink. I still have this photo that you gave me for a class I was teaching….still one of my favorites too.